Was trying to sell the Opel GT in America a bad idea? Yes, it was the worst timing ever. But who cares apart from those poor Buick dealers? Their disappointment doesn’t take away one bit from the GT’s awesomeness. Mr. Regular says the GT drives just like “half a C3", but I have a hard time believing that. You see, nothing about this car is even half American apart from its styling. And yes, that came to be because Opel is basically GM Europe, and this small sports car is from the time when Ford Capris had to look like Mustangs to be cool, but that’s were the similarities end. While we’re at it, let me point out that it’s the Buicks that are Opels, and not the other way around. The engineering is done in Germany, the Regal is an Opel Insignia, so it’s time to say danke schön and accept that Buick is pretty much a rebadging exercise. That’s fine, but Opel would deserve some credit now and then. GM’s historic German brand has an image problem. I don’t know which model started it, but Opel ended up having the reputation for being the most boring brand in Europe. That’s mostly due to the fact that no matter how bad the period Ford was, Opel always managed to create something even lamer for those millions out there who had no imagination whatsoever. Is that still the case? I don’t think so. Opel seems to be trying very hard to offer more than your A to B mobile, although their resources are limited. But let’s get back to the original GT, a car that was half German, half French, and not at all a Buick or a Chevrolet. The GT was based on the B Series Kadett, an utterly slow sedan/coupe/wagon launched in 1965. To make Opel’s money maker look sporty and just fast enough to wear a GT badge, they put a sleeker body the Kadett’s chassis, made by French locomotive engineers Brissonneau and Lotz. 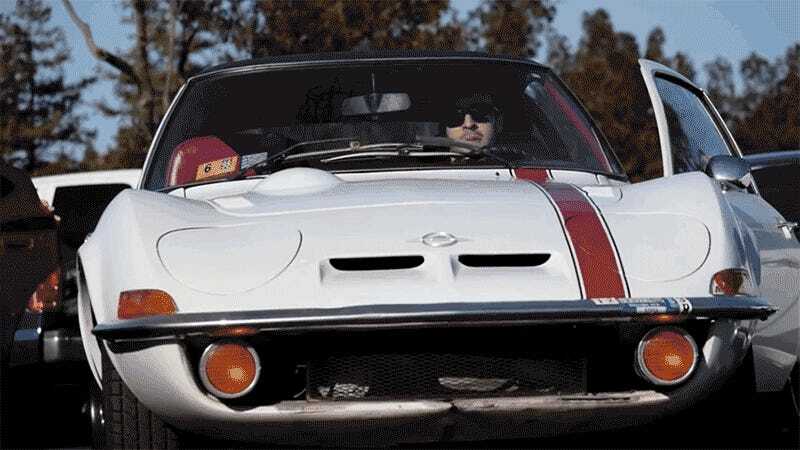 The end result was a funky Corvette lookalike, and Opel managed to sell 103,463 units between 1968 and 1973. It was their Volkswagen Karmann Ghia moment, a creative attempt to turn something beige into a car they can sell with factory stripes. Fair enough, but at least one thing the GT never claimed to be was “Europe’s Sports Car”.